Contact Indian Airlines – Find below customer care details of Indian Airlines, including the address, telephone, and email. You can reach the below contacts for queries on Indian Airlines ticket reservation, cancellation/refund, reschedule of flight, missing baggage, or other questions. Besides contact details, the page also contains information and links on Indian Airlines’ services. Based in Mumbai, Indian Airlines is a state owned airline that is managed by the Ministry of Civil Aviation, Government of India. 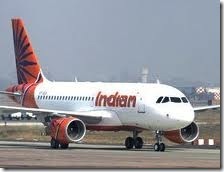 In the year 2005, Indian Airlines was rebranded as Indian. The airline operates closely with Air India. The airline began its operations in 1 August 1953. The motto of the airline is to offer quality service, efficiency and reliability. Indian Airlines operates regular flights to 76 destinations, 58 within India and 18 abroad. Air India, as the national carrier, has traditionally played a pivotal role in promoting tourism to India. Indian Airlines Limited is wholly owned by the Government of India through a holding company and has 19,300 employees as of March 2007. Visit the website or speak with an Indian Airlines customer care representative for more details. Re: Absolutely disgusting. Flight was booked for 2nd September at 2pm. Upon reaching the airport at 11am I enquired for a paid upgrade due to my deteriorating health and also since I was unable to find any business tickets online, my travel agent suggested it’s best to check at the counter in case of a last minute availability. I decided to check at the front desk counter and at no given point was I informed that my economy ticket was also in jeopardy. I waited in the economy queue for over an hour to only be told last minute that this flight was overbooked and I will not be able to fly today. I was told to wait until they “check” to see if there was any way I could fly that day since I wasn’t feeling very well. This wait turned into another hour to no avail. I was then offered another economy ticket for the night flight as a “goodwill gesture” with no apology as this is Air India’s fault and not the service staff’s fault. At that given point, I wasn’t offered any compensation nor was I told of my rights under the aviation governing rules. I demanded to speak to a senior member Bhupet Chander and Mahek Sharma who re-assured me that it was an error on the airlines fault and they were doing their level best to help me. Being 2.5 months pregnant with a fragile condition, I agreed to flying that night, provided I was upgraded with a sufficient compensation package for my inconvenience. I requested that I was put on the flight and offered to pay the full business price to guarantee a space, The manager on duty Bhupet Chander, Printed off a business boarding pass and gave that to me with an allocated seat number (3D, boarding pass attached) as well as stating I should checkin my luggage upon arriving at night. He stated that this is due to my willingness to understand the earlier situation and no payment was needed for the upgrade as it was a goodwill gesture on the airlines part, for my patience. I was also told by him, to take this up with the airline’s complaint’s department for my inconvenience and compensation as his hands were “tied”. I took the boarding pass and decided to leave the airport, having to provide my own accommodation and travel, I left feeling disappointed and raising my phone bill having to make numerous call. Upon returning at 11:30pm (now 12 hours later) I was told that the business class ticket offered to me has now been sold to another passenger. There is nothing that can be done as economy is also overbooked and passengers were being “off loaded”. An hour later the manager and supervisor turned up with compensation suggestions. The evening staff were very furious with how the situation was handled by the morning staff and were very apologetic but without a concrete solution as the situation was ‘BEYOND THEIR CONTROL’ stated Sandeep Roy Chowdhary and Neeraj Sodhi. I once again waited as requested by them in case a business ‘paid’ passenger now doesn’t turn up. To my surprise, 3 hours later, nothing had changed and I was told that they can offer me the afternoon flight with a guarantee that I will fly and my business class ticket would be blocked so it is not sold again. Sick and tired (literally) I refused to take that as a compensation as I had already waited 6 hours at the airport in total out of 24 hours of the day and also waisted 4 hours of travel (to and back from my accommodation an hour away both times) I requested that I get all this in writing and the staff refused as they have no set system in place and writing would entail writing by hand on a letter headed paper which is time consuming. Nevertheless, I requested to be made aware of my consumer, compensation rights in writing so I am aware of the Indian Law. However, no such thing was provided. I waited another 30 minutes to request a letter with this in writing but nothing was given until an hour later. And that too half true. I was told I could checkin my bags at the airport despite the weight as my only bag carried was 5 kgs more than the desired 23 kgs weight allowance per bag and 46 kgs across two bags and due to having suffered enough I could check them in without a hassle and wait in the lounge till the afternoon flight. Tired and exhausted with sickness and pregnancy, I decided to take up the offer of yet another re-allocated flight on business “guaranteed” with no actual guarantee but their word of mouth and a piece of paper (attached) which would help me get in to the airport and pass security and a delayed certificate. Now 3rd September 11am again, I turn up to my flight to be told it’s overbooked again and that I may not be able to fly again today. Upon requesting to speak to the manager I was given a very rude and arrogant supervisor who pushed me out of the way (literally, Hitesh Kumar Lala ,who needs to be trained again on how to deal with Customers being a manager) so I could let other passengers check in as they were busy accommodating passengers. Last time I checked, having bought an airline ticket made me a passenger and that too a very vulnerable one after all these events. Furious and irritated I decided to not move and grab the supervisor’s attention Hitesh Kumar Lala until my situation was sorted out third time at the airport. It was imperative for me to fly today 3rd September at 2pm as too much was at stake by this point. · A family members birth of her baby after severe complications throughout the week. · And having to start work at 7:00 am on Monday morning 4th September in the UK. This time around, a “No” was no longer an option or a solution. However, the supervisor was utterly rude and found a new way, stating my only bag weighing 28kgs was “overweight” and I can not get on, he once again pushed me (literally) to one side to let others board and by this point feeling threatened, tears started building up and I requested Neerjah Sodhi and SR Chowdhary were contacted as they had promised an easier departure from this hellhole of an airport and airline. Anyhow after demanding I speak to Neerjah Sodhi, the rude arrogant manager Hitesh Kumar Lala stated that I was done a favour by being put on business and how I should shut up and get my luggage sorted. Eventually after constant pleading they agreed to take my luggage in as informed by Neerjah Sodhi the previous night. This whole experience was not only traumatic but threatening too. Specifically, for a pregnant lady with health issues. I felt embarrassed and ashamed flying air India and also being treated with such unfairness. I wish to escalate this matter to seniority members as a customer service advisor response will not suffice. As mistakes can happen once but twice in a row is considered, out of habit. I also wish to take this up to a small claims court as the matter is beyond being “bumped off” a flight twice in a row. I felt threatened flying air India and fear is the last emotion a lady should feel when in this vulnerable state. I would appreciate a CEO or a customer service director to get in touch with me in regards to this matter as your managers we have established needs sufficient training to be able to help passengers. I fly to India a lot, business and pleasure but I have left feeling scared to fly again causing me mental stress which can not be good for myself or my unborn child. · A travel ticket economy class for the 2nd September for 2pm with an invoice. · A signed document with half the truth. I also plead you to view your CCTV footage where Hemant lala was utterly disrespectful and rude pushing me to the side to let others check in. I request for such supervisors to a not be on the floor without a manager on the floor with them who is responsible. Furthermore, supervisors such as Hitesh Kumar Lala and Bhupet Chander should be retrained for customer service to handle such situations as overbooking is the norm with flights like air India so a solution and an ability to manage such situations should be a high priority on training list. Selling a confirmed boarding pass is unacceptable and not informing the passenger in a timely manner too is unacceptable. The compensation is far beyond aviation authorities, this matter needs to be escalated to senior members as well as taken to small claims court for a fair outcome. PS: our flight from Singapore to India was also delayed by 13 hours – Flight number A1381, where me and my husband also flew a prepaid business ticket. I had travelled from Chennai to Dubai on 27th Of May 2017 with 2 checked in luggages while one bag is opened and contacts are missing. We trust the airlines and check in our baggage and this action is highly shocking and disappointing. I did not get any refund for my cancelled ticket even after 1.5 months since i cancelled my ticket.I made payment for the flight using my friend’s hong kong credit card and he is leaving hong kong permanently on 8th feb, 2013 and before that he will have to surrender his credit card. In the mean time (apart from follow up emails), I called hong kong customer care (25229247, 25229257) and they even do not want to listen to anything and asked to contact Mumbai head office on this and when I asked to provide them the number they said to go to the website every time. After that, I am continuously trying to contact these numbers (022-22796580,011-24624074, 011-24624075) and sometime I got them busy and sometime nobody picks up the phone and worse situation comes when they picks the phone after long time and cut the line immediately. I have spent money in international calls as well. If there is one airline that I want to avoid for live will Air Indian Express. I had two deductions for booking the tickets. Called the Singapore office and one Renu said the booking was not sucessful and try booking again. However, the amount has been held in ledger balance and cannot be released. When I tried booking 2nd time it happened again. Again another has been held. I am sure without a confirmation of the flight tkt there won’t be a deduction. However, I need to book the return ticket urgently. My funds in the bank is getting lower because of the ledger and not availabilty. The worst part was there is a Mobile no 98252195 (singapore) give in the website which was answered by a lady (probably Ms Raji) because her email id was just below the nos. Office nos work work after office hours which we all know. But must the Mobile no listed if no one is going to answer. It’s time we have to inform the Indian Comm about the service level and update the consumer association here in singapore. Can anyone help me with an advise on what to do next. An employee of Air India Subrata Mukherjee has duped me of my life time savings Rs 10 lakhs against his property , now he is refusing to pay up neither he is signing the sale agreement. I will go to media with this. I need justice. I need my money back. Need your cooperation as the brand name of Air India will be affected because of Subrata Mukhjee’s personal fraud. I need to know, after 2 days my family needs to go to Delhi(Hyd To Delhi). We choose the Air India route. Unfortunately out of Three(Father, Mother and Syster ), My Sister does not have ID Proof. But My Parents have. What shall i do, if my sister checked in to Hyd Airport without ID Proof. Xerox is valid or Not? Please revert me back. Its too urgent. My wife travelled from Kolkata to Seoul (via Delhi) along with our kid on 22-Dec-2011 via AI-701 & AI-310 . My kid’s stroller frame (sky blue colour), she handed over to the Airindia airline stuff at Kolkata during boarding AI-701(Seat No. 13D). There were no tag for the passenger information attached to that stroller frame as it was taken just before the boarding gate. After landing at Delhi, she asked for the stroller frame repeatedly & didn’t get it. Then my brother registered a complaint (PIR Tkt. No. 983573949965), at Air India Counter at Delhi Airport T3 on 22-12-2011 evening. Then her next flight was AI-310 (Seat No. 39A) on 22-Dec from Delhi to Seoul & during leaving Seoul Airport (on 23-Dec) she didn’t get her stroller. Finally she didn’t found the stroller. After that I again called Air India customer care office at Delhi & talked with Mr. Vikram & he gave me again an another PIR No. 1321. Till now I’ve not received any call or the information regarding my kid’s stroller frame. Please do the needful to find the same & send it to my address at Korea, as we are now in Korea (Seoul). We’re writing to you to complain about our unpleasant experience and disappointment with Air India and to demand compensation for the lapse in service, stress and inconvenience caused to our entire family. Our family of 12 people took Air India flight no. AI381 on 21 Nov 2011 to Delhi to start on our long awaited vacation. Our excitement turned into a series of horrendous experience once we board our flight. 1) We specifically requested for a bassinet while booking our ticket and again when we’re checking in as we had an infant with us. The counter staff mentioned that it was taken up because some diplomats were traveling in the same flight. 2) Shortly after settling in our seats we requested for blankets. To our surprise, the stewardess mentioned that they only had 2 blankets! 3) Upon landing, we went to the belt to collect our baggage. We’re redirected twice by the airport staff before being asked to check with the Baggage Claim Office. From the commotion in the office we realized our baggage did not arrive in the same flight with us. We waited a long while before we got to speak to the officer to understand what had happened. We were told to fill up forms which were rewritten by the airport staff named Nihkil onto the Property Irregularity report. All the form filling and anxious waiting lasted more than 4 hours! Not to mention neither of us had any meal since the breakfast served on flight. We didn’t dare go out in case something was amiss and we might miss our baggage. We’re desperate to see if there was any possibility for us to have our baggage the very day. Main reasons, my six years old son’s epilepsy control medication and the infant’s necessity were in the baggage. They informed that the baggage would only arrive the next day by which we would have been in Agra / Jaipur as our tour started immediately. We’re given INR12,000 for interim expenses though there were 12 of us. Firstly, the infant milk powder consumed by the baby was not available in India. The epilepsy medication was also not available at the airport medical centre and pharmacy. After almost 5 stops we managed to get a medication close to what my son is taking. As it was already late, we didn’t get to shop for any toiletries nor clothes to last us till our baggage arrived. We had to forgo our dinner in order to reach Agra before midnite. We hesitated to give the epilepsy medication as it was not the same and feared any negative reaction. My son was free from this condition for more than a couple of months but unfortunately he had a relapse in Agra and we had no choice but to give the medication. Upon taking it he was drowsy and slept for almost half a day which got all of us worried. We were heading to Jaipur at night on 22 Nov 2011 when we received a call on from Air India at about 9pm informing us that our bags had reached Jaipur airport and we had go down personally to verify and collect it. We had arranged for the transportation to and fro ourselves! Upon reaching airport, we noted that counter was closed. After much persuasion we got the staff to release the bags to us mainly due to medication and infant’s necessity. The staff was not able to give any documentation as the office was already closed and requested us to return to the airport on the following day after 3 pm. Once again we had to arrange for transportation to and fro ourselves. On 23 Nov 2011, half way through our sightseeing I had to forgo some itinerary in order to return to the airport to collect the documentation. To my surprise there was no proper documentation instead the staff merely penned down the time the bags were collected on the Property Irregularity Report. They told us to write to Air India directly if we needed anything else. 4) When we departed from India, we encountered the same unpleasant experience in the flight. Upon checking in, the counter staff reassured us that a bassinet has been reserved for us and our seats allocated accordingly. Once in the flight, to our dismay no bassinet was available. The stewardess just said “Not available” and didn’t explain to us why there was a discrepancy to what the counter staff assured us to. We’re angered and puzzled how the counter staff reassured us without knowing that the flight do not provide bassinet. When we requested for blankets, they provided us used blankets claiming that no more blankets were available. Shortly thereafter, we saw another stewardess taking new blankets from the cabin storage in front of us. We asked the 1st stewardess for an explanation for which she didn’t say anything!! We’re totally flabbergasted with Air India for the poor service rendered that had caused us undue stress and worry. We demand that Air India compensate for the lapse in service and causing stress, inconvenience and time loss for our entire family. We expect your soonest reply on this matter. We’ve enclosed the Property Irregularity report and other supporting documents for your reference. Amidst the chaos caused by Air India, we would like to compliment Ms Disha and Mr Nihkil for the assistance rendered by them at Delhi airport on 21 Nov 2011. On 17th October, 2011, I traveled to Agartala from Kolkata by Air India Flight (AI 743, PNR- JCNPB) and returned from Agartala to Kolkata on 20th Oct, 2011 also by Air India Flight (AI 9728, PNR- JCNRX). But unfortunately I have lost my both the boarding passes (Journey and Return). Now, I need them to settle my journey bills. Can you help me to sort out the problem? I tried to call the Air India Office situated in Kolkata, but I did not get any one. Please inform me through mail. please see fare and schedule at Indian Airlines website.. The news said that 33 flights have been cancelled today. The whole pilots group are going on strike again? I have boughts tickets DXB-DEL for Nov. 4. How can I know status? will I get a refund? On Thursday August 25, 2011 I arrived at JFK from Delhi around 7am on Flight AI 101. After traveling for 15 hours, I was looking forward to getting my luggage and heading home to upstate New York. Imagine my surprise when my luggage never came down the carousel. I made a claim with the Baggage Center at JFK and was told to try calling in a few hours to check on the status of the claim. When I arrived home around 2pm I got a call from Dulles Airport in Washington, DC informing me that someone had taken my bag by mistake and it was now sitting at the DC airport. This was upsetting on many levels, not the least of which was how someone could just take a bag (and that one came from Asia no less) and get it on a connecting flight. I was told the bag would be rushed to JFK and then sent to me. I assumed I receive the bag sometime on Friday, or Saturday at the latest. When the Baggage office called me from JFK to give me the tracking number I was told that the bag would arrive on Monday, August 29th. This is unacceptable. I have medication in that bag which I need. I tried calling the Air India offices at JFK for several hours on Friday afternoon to no avail. No one picked up the phone. Is this the way to run a business? I also called the corporate office in New York and was only able to get a response when I hit the number for “Personnel.” A nice woman gave me the email address of someone who runs the office there and she also gave me the number for someone named Brian who apparently works with customers. I left a message for him on Friday afternoon but don’t know if he will get back to me today. Here is my question: since no one at your office picks up any phone calls, what do I do if and when I receive my luggage and there are things missing? And why was this luggage not sent as a priority? There is no reason why that luggage should not have been delivered to me today, Friday. It arrived at JFK last night (8/25). I have flown Air India since 2008 but after this incident, I will not be flying them again. I had booked a ticket for my daughter for a trip to Kolkata from Port Blair for the month of Octoeber. But due to some urgent problem I had to cancel my ticket within 15 days from date of purchase. The travel agent has charged me a huge amount as cancellation fee. I would request you to please let me know the amount charges as cancellation fee. I feel cheated by the travel agent. Your cooperation will be highly appreciated. please check the rules section of the printed ticket..you would find details of cancellation/refund etc..some times are non refundable..while some tickets you can get partial refund..it differs on all ocassions..better to call the customer service of Indian Airlines and get the right info.. It is regrettable to bring the under-mentioned for your consideration. I had booked a flight for my wife Malavika Kumar along with our infant daughter from Hyderabad to Kanpur on for 25 Jul 2011. Due to some reason, the flight to Kanpur via Delhi was cancelled and the passengers were flown to Lucknow by AI 811 and were promised transport/taxi fare from Lucknow to Kanpur. After the flight landed in Lucknow, my wife went to the Air India office to enquire about the arrangements for the same. The duty official told my wife that half taxi fare would be given for passengers making own arrangements for Kanpur and asked my wife to wait in the office and went out to confirm the taxi fare. After waiting in the office for a long time with an infant child, my wife had to come out disheartened and make own arrangements of transportation to Kanpur, as there was no Air India official in sight for a long time. 3. Slack and inappropriate response of the ground staff towards a young mother and infant. It is requested that the above-mentioned points be duly noted and the airline staff be sensitized towards the need of passengers and appropriate compensation be provided as soon as possible towards onward journey, etc.